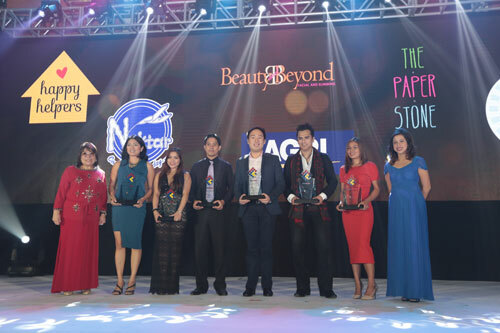 BEAUTY AND BEYOND AWARDED AS FINALIST IN NATIONAL COMPETITION "NXTGEN IN FRANCHISING 2015"
From left to right: Bing Sibal Limjoco (PFA), Joanne Bernardo-Endaya (Happy Helpers), Jasmine Sarmiento (Beauty & Beyond), Homer Alvarez (Blue Nektar), Hans Yao (Paper Stone), Joseph Calata (Agri), Joanna Pinon (360), and Ginbee Go (BPI Family Savings Bank)MANILA - Now on its 20th year, the Philippine Franchise Association (PFA) continues to stimulate the growth of the industry by ushering in the next generation of franchise leaders. On September 30, during the industry’s most prestigious awards event, the Franchise Excellence Awards (FEA), six young entrepreneurs were recognized as the first ever “NxtGen in Franchising” finalists. The first NxtGen in Franchising Award seeks to promote franchising as a tool to accelerate business growth and recognize the brands and businesses that can scale up through franchising. It seeks to recognize young entrepreneurs who can be the next franchise leaders in the industry. After an exhaustive search and selection process that yielded entries from north to south, the esteemed panel of judges chose finalists and a winner by judging each entry’s franchiseability and the owner’s ability to communicate the idea. Agri, with its concept of a one-stop-shop of agricultural inputs, was declared the top winner and named the first ever NxtGen in Franchising awardee. Aside from providing a wide variety of products, the company also aims to enrich the buying experience of the consumers by providing hands-on demonstrations, technical advice, pre-sales and after sales support, training, and special promotions. Established in 2011, it now has close to 100 outlets all over Luzon and is poised to expand across the country to help Filipino farmers become more productive. Other finalists recognized during the FEA night were 360⁰ Fitness Club, a fast, fun, and effective alternative workout for busy, young professionals. The club’s friendly and supportive atmosphere is a stark contrast to traditional gyms, and all its workouts are based on science. Also making it to the finals was Beauty & Beyond, a skin and beauty services center that offers high quality products and excellent services at a more affordable price, advocating the idea that feeling and becoming beautiful is not a privilege but a right. Joining the list of NxtGen finalists is BluNektar which offers cake shakes and dreams of becoming a recognized and respected beverage chain in the country. Its owner, who used to work as a bartender on a cruise ship, drew inspiration from the concoctions he prepared and thought of coming up with a beverage that evokes fun minus the alcohol. As a testament to the wide reach and application of franchising, the next finalist recognized was Happy Helpers, a social enterprise that provides reliable and quality home services and, at the same time, provide livelihood opportunities to women living in Gawad Kalinga communities. It sees the rise of businesses catering to home services for advocates of vertical living. Happy Helpers opens a golden opportunity to offer professional and quality housekeeping and maintenance services to help Filipinos keep their homes in tip top shape. Rounding up the list of finalists was The Paper Stone, a chic and trendy premium stationery and paper goods store that specializes in designs that delight. The store offers something for everyone - from scrapbooks and journals, to pens and eco-friendly pencils made from recycled newspapers; from craft stamps and stickers, to quirky erasers and lifestyle products. Despite the varied nature and industries of the NxtGen finalists, what bound all of them together was their ambition and purpose. They look at hundreds to thousands of stores, and look at their market not in terms of the hundred million in the Philippines, but the hundreds of millions in ASEAN and internationally. And they see their social mission as integral to their business and not just another Corporate Social Responsibility (CSR) project. With such strong businesses and owners who bring the standards of excellence and service to the next level, the franchise industry is strongly poised to continue growing for the next 20 years. The NxtGen in Franchising Award is the first phase of the global search for the next generation of franchisors. To join the international contest and get a chance to win a trip to the United States together with an opportunity to network, make a pitch, and promote their ideas and concepts at the Next Gen in Franchising Summit to be held in the U.S., apply at http://nextgenfranchising.org/. Deadline is on October 30, 2015. They entered the room with energy so infectious, that a miserable person like me was able to smile in the morning. These two were basically convectors of warmth and gratification. I already knew this was going to be a very good talk the moment they stepped into the environment. And yes, I did say ‘they’. This is not your usual cover story where we normally feature one individual. We have twins. Jennifer and Jasmin are the identical twin daughters of Edgar and Jennifer Sarmiento, and they are easily one of the most levelheaded people I have ever met. They sat across me with sweet smiles plastered on their fresh faces, radiating with nothing but good vibes, and the preparedness to answer anything. This enviable genuine positivity is an alternate to an extraordinary existence. These two powerhouses have accomplished so much and they haven’t even turned 30 yet. 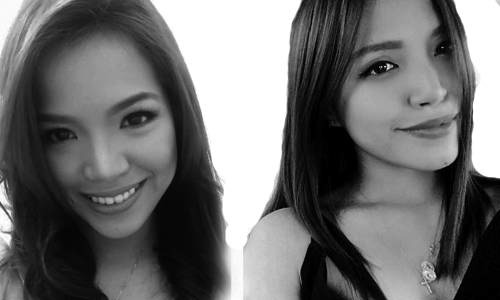 Jennifer and Jasmin both handle a beauty clinic called Beauty & Beyond Facial and Slimming located at Foodland, Banilad. It started out as a school project for Jen, and eventually, it turned out to be a permanent fixture when she asked her own sister, Jasmin, to run the business together with her. They also mentioned their brother,Andrew Sarmiento, with high regard for being there for them every step of the way. His undying support and helpful tips have helped shaped the sisters’ business for what it is today. And because of this sibling cooperation, a new Beauty & Beyond branch will be rising soon at the Streetscape. The company is now a middle ground for the twins, since both of them have different priorities outside of the clinic. Jennifer helps her dad out in their construction firm during the morning, while Jasmin assists her mother and brother in a recruitment agency – another family business. With that alone, the schedule looks to be quite a handful already. But that doesn’t stop this dynamic duo from establishing a balance in their lifestyle and allotting a time for recreation. Beyond the corporate world, the sisters have their own personal interests and hobbies. Aside from the photography that she does for a hobby, around late last year, Jasmin found a new love: baking. She makes the most incredible cupcakes, pies, coconut macaroons, and practically almost every other pastry dish you can think of. Even if this is considered just a recess from the busy schedule she has, Jasmin does take her baking quite seriously. With her boyfriend, Ralph (who is conveniently a student of Le Cordon Bleu), to assist her in the recipes and techniques, the result is traditional with an edge just enough to make you finish the whole box of sweet treats in one sitting. Her style of baking quite represents her very domesticated, sincere, goal-driven and forward-thinking personality. I could personally say that it is a bit similar when it comes to motivation, but fairly different from her sister Jen’s personality. The other half of the Weigel-Sarmiento sisters is a force to be reckoned with. Jennifer is a very veracious woman who has a very distinct outlook on life. She also has a very genuine disposition which keeps her grounded. Jennifer is quite the business woman during the day. But at night, out go the corporate restraints and on goes the headphones. Jen has earned her way into the DJ industry by undergoing proper training and immense musical exploration. Her approach to her craft is very honest, accompanied by a very open mind. The time she spends on the decks is very liberating for her. She considers this a breather from her stressful day job. And I have to approve, there is nothing better to cure the mind and the soul than music. Most of you might agree that having a sibling is one of the greatest joys in life, but with all the honesty in the world, it is indeed a nightmare sometimes. The endless battle of petty fights is already a given in any kind of relationship. However, as stated by Jen and Jas, being a twin is a totally different experience. There are people who assume that having a twin is the coolest thing in the world, and with that they mean using your identical sibling as a recipe for a silly prank. These two beg to differ, though. When the fun and games slowly evaporate, reality sets in, so the frustration starts. Up to this day, there are still people who confuse them for each other. The misplaced identity isn’t the only problem these girls experience. Everyone expects twins to be exactly alike; from the clothes they wear to personalities. But when the anticipated doesn’t happen, society starts to judge and compare. Both sisters are very thankful that they were raised by their parents properly, though they fear for those who aren’t. Regardless of the difficulties they went, and still go through from time-to-time, they are still grateful for it. They have taken the obstacle as a lesson and will be using it in the future when they have their own family (or set of twins) to raise. They also love having each other around; especially now that they have grown up to be such proper women, they’ve learned to appreciate each other all the more. There’s nothing better than to have your own sibling as your business partner, let alone your best friend. BEAUTY treatments are often seen as a luxury, which admittedly in this economy, is not something everyone can afford to indulge in. With Beauty & Beyond Skin Clinic, pampering doesn’t have to be expensive. Beauty & Beyond Skin Clinic encourages people to enhance their natural beauty and look beyond beautiful. The clinic offers quality skin and body care services such as facial, radio frequency, cavitation lipolysis, wart removal, and micro-dermabrasion, among others. All of these services come at a price everyone can afford. 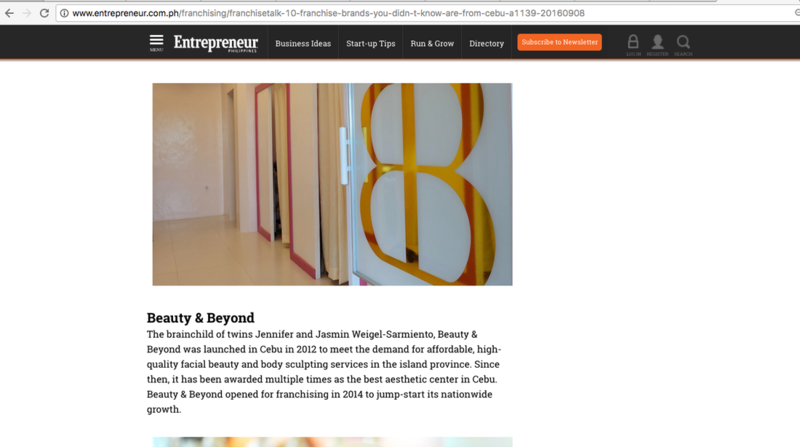 Chief executive officer Jennifer Sarmiento, who established Beauty & Beyond out of her passion and interest in beauty, tells Sun.Star Cebu that Beauty & Beyond aims to cater to the masses, with their facials starting at only P250. “If you want to look and feel good at an affordable price, Beauty & Beyond is for you,” she said. Beauty & Beyond is located at Rm. 219, Caesars Foodland Bldg. in Banilad. They are open on Mondays through Saturdays from 10 a.m. – 8 p.m.